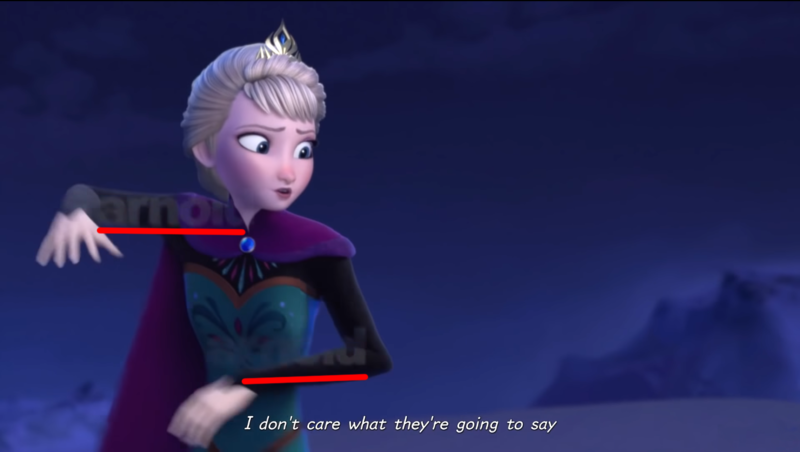 So when I was playing Kingdom Hearts 3 and I was watching the Frozen "Let It Go" sequence I noticed a weird thing pop up for a quick second before going away. At first I thought it was just my tv so when I was rewatching the sequence on YouTube to see how close they got to the movie I noticed the weird thing pop up again. So I work professionally as a 3D artist and I knew exactly what was it was a watermark for a rendering program called Arnold and it usually doesn't show up unless you don't have a license for it or 3D program you are using can't access the license. That's usually a bad thing to not catch because it means there are other frames that probably have this watermark on there as well. I just thought it was funny thing to point out. Wow. I didn't even notice that. Do you think they'll fix this in an update? I like to think they would but they probably don't know that it's there. Is there some way to report it to them? Like tweet them or something? I honestly don't even know since it was made in japan don't even know if tweeting it would get to the main headquarters in japan. That must be just you, I never noticed that. Edit: Okay, looks like that is there. Well, that's just embarrasing... this needs to be patched. I'm sure if we tweet Disney about this, they can get it fixed. It's a mess up in one of their biggest seller's worlds during one of their biggest songs ever.